Welcome to my video spotlight, Book…in a Minute. The best one minute book review. Find your next favorite read fast. What happens when serious, highbrow, insecure literary fiction writer meets a charming southern gal who self-publishes chick lit? Can these opposites find love? Rom com movies and umbrella drinks to the rescue! I’d love it if you subscribed to my YouTube Book Channel. Enjoy the video and please let me know…..
What happens when the view from the top isn’t what you want to see in your life? Take off your shoes and take a sabbatical! This author shares how he escaped the corporate world. Get ready to be inspired and find your own happiness island. I’d love it if you subscribed…..
Have you ever had “le reve” of living or vacationing in France? This story of Les Americans is one of the most entertaining reads in the non-fiction travel genre. It’s perfect for armchair travelers like myself who want to experience the charm without personally going through all the problems. 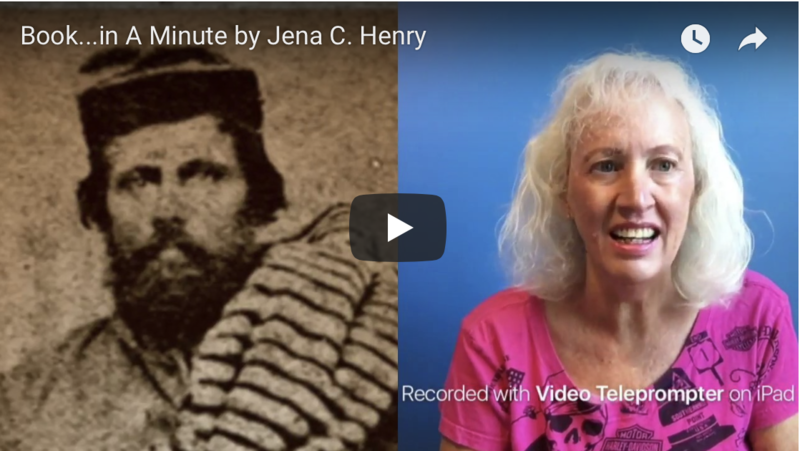 The Civil War may seem to be from long ago, but this personal story makes it so real. The author describes him as an ordinary military person in the Civil War, but like all who serve, Lt. Loring was exceptional. I’d love it if you subscribed to my….. Welcome to my video spotlight, Book…In a Minute! The best one minute book review to help you find your next favorite read fast. Enjoy some true life, warm-hearted and compassionate stories. 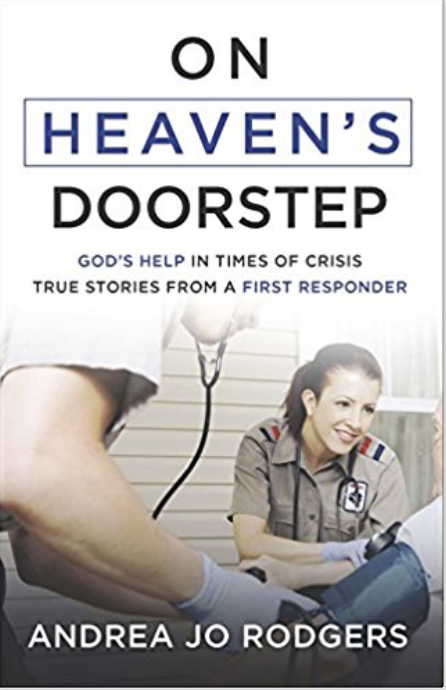 Meet the regular folks who are experiencing that scary moment when the EMT emergency services must be called, and the first responder heroes who serve their community every day. Murder at Mothers by Maighread MacKay Welcome to my video spotlight, Book…In a Minute! The best one minute book review to help you find your next favorite read fast. One minute, Holly is thinking about her job, her to-do list, her long-distance romance, and the next minute her life takes a shocking turn. Can two quirky characters help? I’d love it if you subscribed to my YouTube Book Channel. Enjoy the video and please let me know how you liked….. The Subway Girls by Susie Orman Schnall Welcome to my video spotlight, Book…in a Minute! The best one minute book review. Find your next favorite read fast. If you love Mad Men, New York City, the 1940’s and women’s fiction- then this is the book for you. Madison Avenue’s allure from 1949 to the present calls to two young women. Are they ready for the challenges? I’d love it if you subscribed to my YouTube Channel Enjoy the video….. 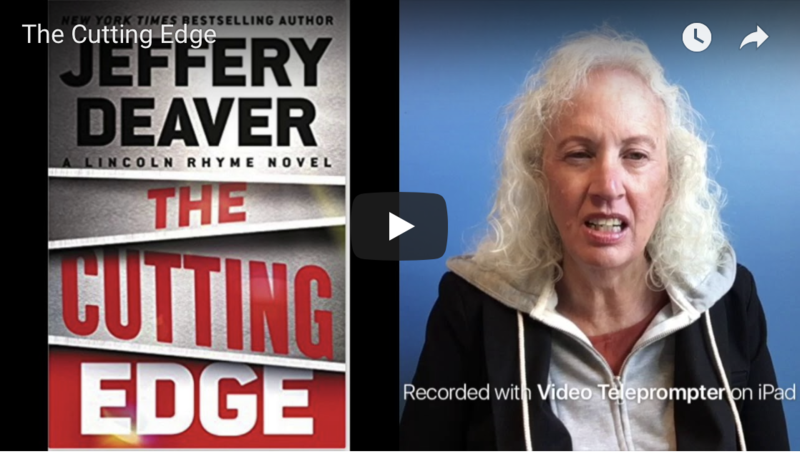 The Cutting Edge by Jeffrey Deaver Welcome to my video spotlight, Book…in a Minute! The best one minute book review. Find your next favorite read fast. Five wows for the latest book- number 14- in the Lincoln Rhymes series. Can diamonds be your best friend? I’d love it if you subscribed to my YouTube Channel Enjoy the video and please let me know how you liked the book! 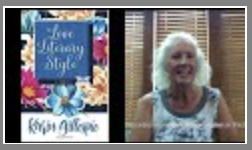 Stay Golden with Book…in a…..
Hogan’s Hope by Connie Bombaci Welcome to my video spotlight, Book…In a Minute! The best one minute book review to help you find your next favorite read fast. This week’s book will be a blessing for you to read. Did you know that Dalmation dogs may be born deaf and that many breeders dispose of these dogs? 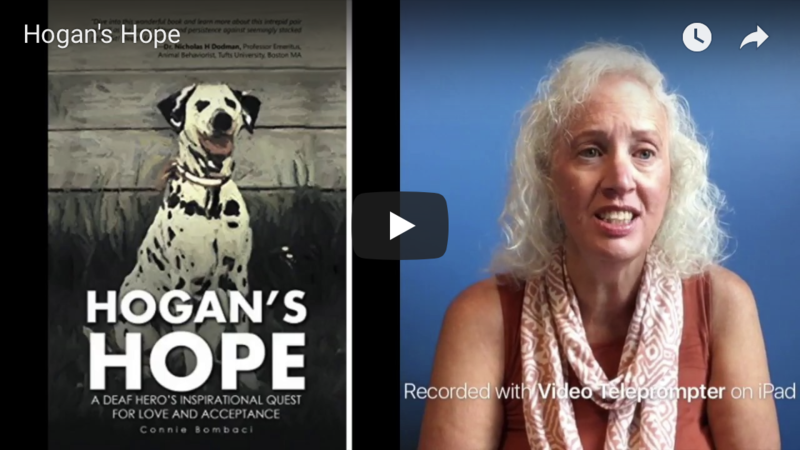 Connie Bombaci’s story of how she brought hope to her deaf Dalmatian and then how they both brought hope to others is a gem!